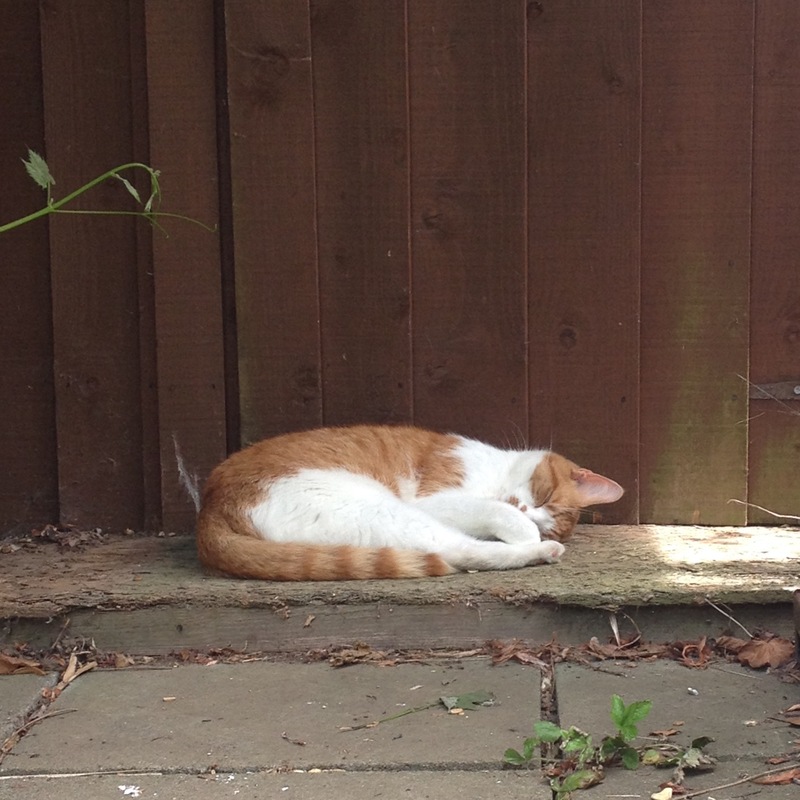 Marmalade taking a well earned rest from sparrow bothering in front of the garden shed. Hello, my name is Marmalade. I live in Redhill Road. I like chasing birds and mice and once I caught a toad. In our garden there’s a pond. It’s full of little fishes. When I’m hungry, I im-ag-ine them served in food dishes. I share my home with Bramble of whom you must have read. And a couple of them human things who have a comfy bed. They don’t mind me getting on it, when my paws are clean. But when I’m wet and dirty, the Scot’s one – she gets mean! The other one sits in his room tap-tap tap-tapping away. But sometimes, when I visit him, he takes a break to play. I quite like finding places where I hide out of sight. I need lots of rest by day… I’m out hunting all night.